I was born into a happy Christian family. Since I was little, I have believed in the Lord with my family. When I was young, my aunt often took me to the church to attend services. Whenever I saw brothers and sisters having their weddings in the church, with happy and sweet smiles on their faces, I would dream that God would also bestow a happy and good marriage upon me when I grew up. When I was a sophomore in university, I met Zong online. We chatted very happily and he would call me every night. He told me that his parents favored his younger brother over him and he didn’t feel love from his family. I thus sympathized with him very much, and often read the Bible to him and used the Lord’s words to comfort and encourage him. Almost without realizing it, I took to him. At that time, my idea of love was very simple: As long as two people truly loved each other, they could become boyfriend and girlfriend and join their lives together in holy matrimony. However, I didn’t expect that when I told the brothers and sisters and my family about Zong’s family background and his personal circumstances, they all looked unfavorably on our relationship. My parents urged me to find a like-minded partner, because only then could my married life be happy. The brothers and sisters also advised me not to make a hasty decision about my marriage, and advised that I should pray to the Lord more and deliver my marriage into the Lord’s hands, and ask Him to reveal whether Zong was the other half that the Lord had prepared for me. Hearing this, I felt very sad, but I still decided to reconsider my relationship with Zong. So, I prayed to the Lord and asked Him to lead me to make the right decision. Not long after, I was told by a friend that Zong was seeing several other girls as well. When I heard this matter, I felt shocked and disappointed, but even more, I was grateful to the Lord for listening to my prayer and making me know that Zong and I were not suitable to be boyfriend and girlfriend. However, during my time with him, I had developed an affection for him, so when I needed to break up with him I could not but feel a tinge of sadness in my heart and was somewhat unwilling to make the decision. Later, the brothers and sisters fellowshiped this with me: “As a Christian, if you want to have a successful marriage, the most important thing is to find a partner who cherishes the same ideals and follows the same path as you. If your other half doesn’t believe in the Lord, he will probably affect your belief in the Lord. There have been quite a few cases in our church of failed marriages. For example, after marrying non-Christians, some brothers and sisters were hindered from believing in the Lord and attending gatherings, and they were even restricted in reading the Bible and worshiping God at home. Marriage is the most important event in our life. We can’t make this decision blindly. We must pray to the Lord more about this matter because only the one that the Lord has prepared for us is the most suitable for us.” Their fellowshiping was very beneficial and helpful to me. I felt greatly relieved, and was no longer messed up by my emotional problems. So, I decided to set new standards for a marriage partner. One day, I saw it said in the Bible: “But as for me and my house, we will serve Jehovah” (Joshua 24:15). That’s right! Since I believe in the Lord, my family should also worship the Lord as great. So I should find a like-minded partner so that we can walk the path of faith in God together, since only in this way could we love and support each other and serve the Lord together. After understanding the Lord’s will, I decided to find a boyfriend who believed in the Lord so we could serve and worship the Lord with one heart. One year later, a sister introduced me to Li Kemu, a seminary student. I had always thought that seminary students were all very familiar with the Bible, and since they also dedicated themselves to the Lord and spent their whole life serving Him, they were the most devout Christians. I thought to myself: “If I can marry a dignified seminary student in the future, I am sure to gain great spiritual support and help and will walk the right path of faith in God.” At the thought of these things, I felt thrilled, thinking that I had finally found someone after my own heart. But the reality didn’t turn out as I imagined. In the course of our interactions, I found that he didn’t like to talk with me about the Bible and about faith in God. At first, I felt a little unhappy, but out of admiration for him, I didn’t take it to heart. But what was inconceivable to me was that he once suddenly told me that he wanted to live with me. This idea really disgusted me. I thought: “He is a seminary student as well as a Christian, how can he make such a request? I seek a boyfriend for the purpose of getting married; what’s more, living together before marriage is detested by God.” For this reason, I resolutely refused. But he said to me casually: “In our school, quite a number of couples live together outside the campus: Some rent a place, some stay in hotels….” I found this unbelievable, and replied: “Your college is a seminary, and you are all theological students who will serve as pastors in the future! How can you do these things?! It’s displeasing to God!” He answered lightly: “What’s wrong with it? The whole world is dark and evil nowadays. It’s true that we are students in a seminary, but we are also ordinary people, and are naturally influenced by social trends.” Listening to all this, I grew very angry. What kind of a theological student was he? He had no reverence for God at all! His words and actions were no different from that of unbelievers! If I got married to someone like that, who didn’t even like talking about faith in God, how could I gain spiritual support and help from him and serve the Lord together with him? Weren’t all of these pipe dreams? At the thought of this, I split up with him. Having been through two failed relationships, I felt somewhat discouraged and disheartened. I wondered what the other half God had prepared for me was like and when I could meet him. I was puzzled by these questions until one day I saw these verses in Ruth: “And Ruth said, Entreat me not to leave you, or to return from following after you: for where you go, I will go; and where you lodge, I will lodge: your people shall be my people, and your God my God: Where you die, will I die, and there will I be buried: Jehovah do so to me, and more also, if ought but death part you and me” (Ruth 1:16–17). “Then Naomi her mother in law said to her, My daughter, shall I not seek rest for you, that it may be well with you?” (Ruth 3:1). Although Ruth had suffered frustration in marriage, she didn’t remarry after her husband died; rather, she continued following her mother-in-law in believing in God. Afterward, under God’s wonderful arrangements and orchestrations, she ran into her other half—Boaz. Through Ruth’s experience, I understood that God is arranging all things in the unseen world. When I grasped this, I no longer felt disturbed by my previous unsuccessful romances but felt much more liberated. I believed that when the time was right, God would allow me to meet my partner. After two years, the sisters from the church introduced me to Tao. I was 25 that year. When I first saw him, he was wearing a pair of glasses and looked silly but fairly honest. Afterward, we frequently attended meetings together. At that time, we had a Bible study meeting once a week, at which we would read the Lord’s words and share our knowledge of His words together. Every time when it came to his turn to share, he could always communicate some new enlightenment and illumination, which benefited me a lot and lit up my heart. Gradually, we started a relationship. But I was unsure whether he was the other half that God had prepared for me. So, I prayed over this matter and put my heart into seeking God’s will, ready to obey His arrangement and orchestration. Once, Tao shared the following verses with me: “And Jehovah God took the man, and put him into the garden of Eden to dress it and to keep it” (Genesis 2:15). “And Jehovah God said, It is not good that the man should be alone; I will make him an help meet for him” (Genesis 2:18). Then he fellowshiped this with me, “The marriage of each person was ordained by God long ago. For example, back then, God made Eve so that she could keep Adam company and so that they could help each other and manage the Garden of Eden together.” His fellowshiping made me understand better that God had long ago prepared our other halves for us. 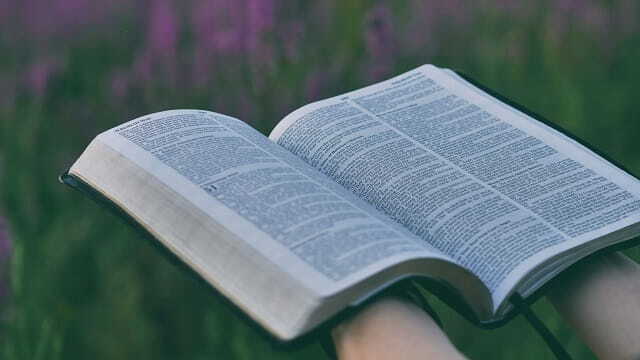 Later on, during the time we spent together, when I encountered difficulties he was often able to fellowship the words of the Lord with me to make me understand the Lord’s will and to help me get out of my difficulties. The brothers and sisters and our families all quite approved of our relationship, so that was further confirmation that he was the other half God had prepared for me. In 2007, Tao and I, with the good wishes of our families and brothers and sisters, joined our lives together in holy matrimony. Up to now, we have been married for 11 years. During these years, when confronting problems and difficulties in daily life or in spiritual practice, we have been able to pray to God with one heart and find the right path to practice from God’s words, and then deal with these difficulties and problems together. When there has been friction and conflict between us, through praying to and seeking God, we both know how to be humble rather than haggling over every penny, and we understand and tolerate each other. In this way, the conflicts between us are able to be settled soon and we are able to live in peace with one another. 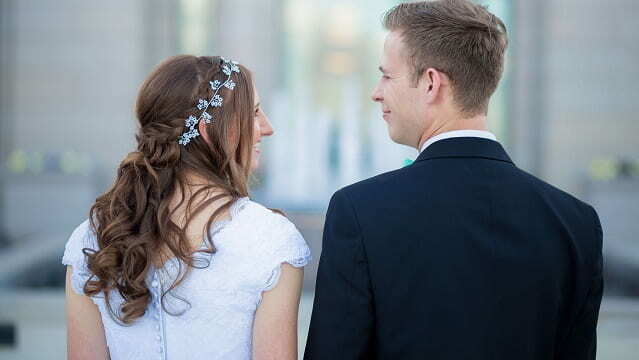 God’s words enabled me to understand better how God dictates everyone’s marriage. He arranges it according to the fates of the two parties. No matter what choices we make and what preferences we have, they will never change the marriage God has determined for us. And what God arranges for us is for the best. Thinking back to when I first looked for a boyfriend, I hoped to find one who was good-looking, like-minded and met my own standards. My first boyfriend, though meeting these conditions, was of lowly character: While in a relationship with me, he was seeing several other girls as well. He didn’t even possess the minimum morality that normal people should have. Although he listened to me reading the Bible, he didn’t believe in the Lord. We didn’t have a common faith and walked different paths in life, so he was unsuitable to be my partner. Later, I met a seemingly like-minded person. I had thought that we could help and support each other spiritually and walk the path of faith in God together. But it turned out that he was a false believer. At last, under God’s arrangements, I met Tao and then we got married. This made me see that my marriage was indeed not decided by myself but was totally ruled and arranged by God. My choosing my other half according to my own liking was wrong and incompatible with God’s will. And the marriage God bestowed upon me is for the best. My husband and I are one in mind and purpose, and together we worship God and fulfill our duties as created beings. We live very happily. I thank God from the bottom of my heart for what He prepared for me. Through my experience, I truly feel that our partner on our life journey has been prepared by the Creator long ago. In marriage, we should maintain a heart of waiting and seeking, obeying the sovereignty and arrangements of God. It was because of God’s grace that they saved their relationships and marriage. By opening their hearts, they saved their marriage from the brink of divorce.